Dr. Maulana Ron Karenga developed Kwanzaa in 1966. Kwanzaa celebrates African-American families from Dec. 26-Jan 1. Kwanzaa seeks to reinforce African cultural identity, provide a focal point for the gathering of African peoples, and to reflect on Nguzo Saba that have sustained Africans. 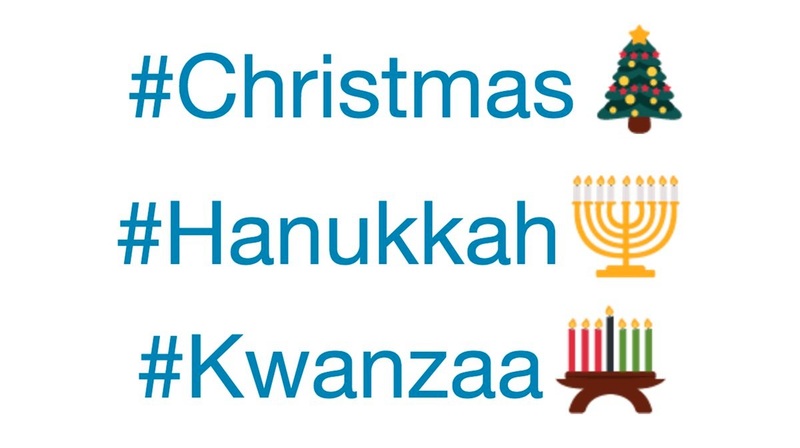 African-Americans of all faiths and backgrounds practice Kwanzaa. In 167 B.C. Greek king Antiochus Epiphanes began a campaign to force the Jews to formally adopt Greek practices. Mattityahu, a Jewish elder, led a rebellion. The Jewish army reclaimed the Temple, but found only a single bottle of oil with which to rededicate it, enough to last just one night. However, by a miracle, the one bottle of oil lasted eight nights. To this day, Jews everywhere light the eight Hanukah lights of the menorah, recounting the miracle of the oil. In the 4th century, the church instituted Jesus’ birth as a holiday. Although evidence suggests a spring birth, Pope Julius I chose Dec. 25 to absorb the traditions of winter pagan festivals. By the 800s, Christmas spread to Scandinavia. Americans began to embrace Christmas in the 1700s, re-inventing Christmas into a family-centered day of peace and nostalgia.